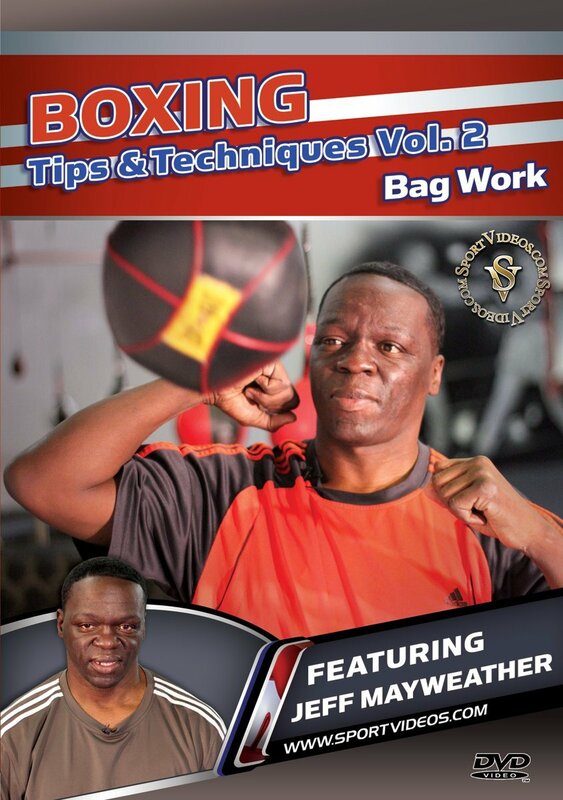 Improve your boxing skills with the help of one of the world's best trainers.This DVD is volume two of a three-part series featuring former IBO super featherweight champion and current trainer, Jeff Mayweather. In this program, you will learn various tips and techniques for working the heavybag, double-end bag and speedbag. You will also learn how to use these bags to simulate boxing a real opponent so you can transfer these skills into the ring. The special features section covers conditioning with instruction by Melissa Littlejohn. This DVD is a unique training tool that offers insight and advice from one of boxing's greatest instructors. About the Coach: Jeff Mayweather has been boxing since he was 10 years old, competing in numerous Golden Gloves tournaments. After turning pro in 1988, Jazzy Jeff had a career boxing record of 32-10-5 (10 KOs). His biggest accomplishment was winning the IBO super featherweight title from John Roby on April 21, 1994, a title which he defended two times. Since retiring from boxing in 1997, Mayweather has been working as a trainer in Las Vegas, Nevada and has trained many world champions. Jeff is a member of the Mayweather boxing family; his brothers are former welterweight contender Floyd Mayweather, Sr. and two-division world champion Roger Mayweather, and his nephew is five-division world champion Floyd Mayweather. Jr.